Sampark Foundation Best Government Nasha Mukti Kendra in Delhi, noida, Gurgaon,Ghaziabad, Best nasha mukti centre in New Delhi, Gurgaon, Noida, Ghaziabad. Sampark Nasha Mukti Kendra in karol bagh delhi is a government approved nasha mukti Kendra for alcohol & drug addicts. 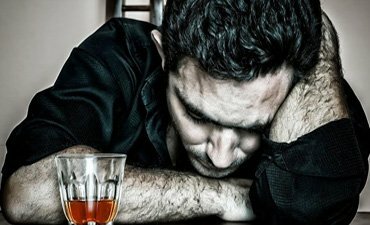 Sampark Foundation- Nasha Mukti Kendra in Delhi,Nasha Mukti Center Alcohol addiction is harmful to human life but addicted people don't understand the consequences which will come later on individual life that why we came into existence with India's leading Nasha Mukti Kendra in Delhi . This NGO is run by experienced campaigner as they have success ratio more than 92 % in an Indian context. We are receiving the contant call from the loved ones from addicted Patients to provide treatment for this. Sampark Foundation, Famous NASHA MUKTI KENDRA and Nasha Mukti Centre, we have the Capacity of more than 100 Patients with AC and NON-AC rooms. Call us at any point of time for any kind Addictions. Consuming Alcohol, Beer, Whisky, Wine, Drugs regularly for a longer period of time causes serious health issues like stroke, cardiovascular diseases, liver diseases, depression. Also, it causes many social and Family problems such as child and spouse amusement which will affect not only the single person but it effects on the whole family, lost productivity for individuals business and job. Sampark Rehab centers offer individual the medical attention by specialist Doctors who daily visits and one to one sessions take place and support so that you drinking problem will be under control so you can recover your precious life. Rehab center offers both inpatient and outpatient. 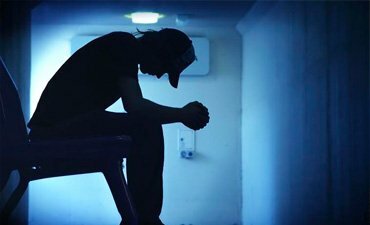 People are getting addict day by day especially young age generations students, recently we have done the survey which shows Delhi, Noida, Ghaziabad, Punjab, Chandigarh, Haryana, Uttar Pradesh, Himachal Pradesh and our findings and outcomes related to the issue that why young generation are getting addicts and the main source was Bollywood and Hollywood movies. Young generations get inspiration from the Movies Actors and Actress and when they see their role models do the same activity then they starts imagining themselves and starts implementing those activities, we have seen that addiction starts with small amount of consumption of Alcohol then it turns into daily consumption of alcohol or same things happen with Drugs also Patient treatment who have developed a drinking problem but not yet addicted. Inpatient treatment is good for those people who are emotionally inclined towards alcohol. 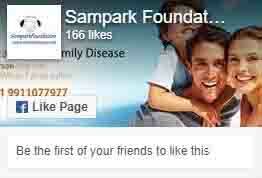 Sampark Rehab center offers confidential treatment. 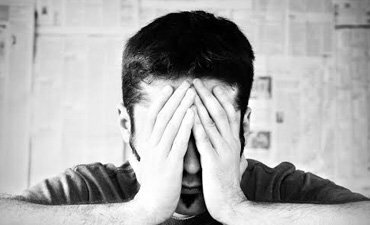 One need not worry about anyone whom you may not want to know about your treatment. Staying in our rehab center provides an environment free from the temptation to drink and good treatment of behavioral issues that alcoholism causes. 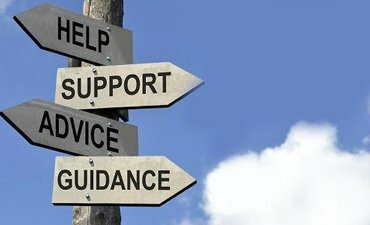 Sampark Foundation was founded by Mr. Rajiv Kokcha (President of Sampark Foundation)Nasha Mukti Kendra in Delhi as recovering addict himself he works with Counsellors, Doctors, Psychiatrists & other nursing staff to help people suffering from addiction & schizophrenia treatment due to alcohol & Drugs. We Provide treatment from Alcohol, Drugs, Charas, Ganza, Afim,Cocaine, Heroin, Injection & Smack. We at Sampark Foundation believe in best treatment facilities & personal care to each patient who admits at our Nasha Mukti Kendra in Delhi. Our Team is dedicated to delivering personalized treatment & best patient care to each patient that meets our highest standards. We have developed the process to come out from addiction which includes discipline, healthy environment, nutritious food & some set of procedures ensures best & Long term results. We Provide Safe, Secure, Confidential & Supportive environment to come out from addiction. 24×7 Support & Care for each patient. Expert Team of Psychiatrists, consultants, Counsellors, Therapists & other nursing staff. Unique treatment program based on Counselling, Yoga, Meditation & Therapy. 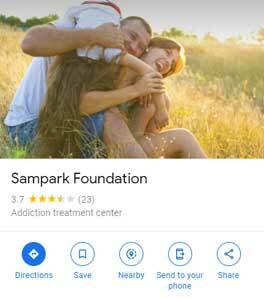 At Sampark Foundation we believe in delivering the highest quality of care & healthy environment to our patients across the complete program of addiction treatment. We have designed a unique program to achieve the positive & long term results. We always work with our processes to improve the user experience & always take a feedback from Recovered patients & their Families. 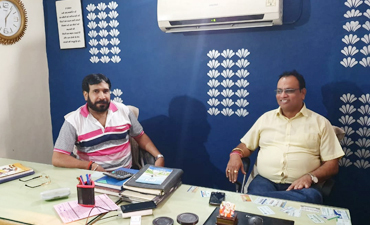 We have been considered as leading Nasha Mukti Kendra in Delhi due to our Quality Treatment Program, Personalized Treatment methods, High Success rate & Long term recovery model. India is the 2nd most populated country in the world with over 1.3 billion people. India has more than 65% of population below the age of 35. Our Country is growing at a rapid pace. Our cultural, social values, demographic & economy are changing and stress levels of people are increasing due to fast growth in each sector. As per latest survey, more than 3.5 million people are drug addicted in India. Earlier alcoholism was not treated as a disease because people couldn't understand the difference between social drinking & Problem drinking. But now alcoholism is being treated as the disease for society and alcohol addicts are increasing rapidly. 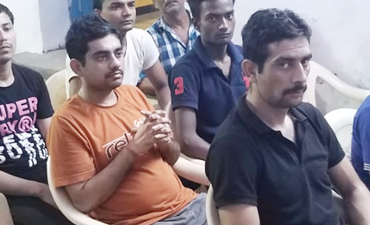 India is a country where most of the population is youth which is good for any country but the biggest challenge what we are facing is our youth is indulging in substance abuse (Alcohol & Drug Addiction) which is a big curse for us. There is a drastic increase in drug & Alcohol consumption in Karnataka, Andhra, Haryana & Punjab almost 80% increase in the alcohol consumption while in Delhi almost 30% teenagers are alcohol dependent. Heroin consumption is highest in Meghalaya (30%) & Punjab (20%) In Delhi about 70% children Consume tobacco. Recently we have seen that Bollywood is also showing their concerns towards drug addiction in youths. Bollywood had made a Film "Udta Punjab" which shows the reality of Punjab, how our country's youth is indulging in drug consumption and how they are spoiling their life, career & Family relationships. But the question remains the same "What would be the corrective actions that needs to take for overcoming addiction" The answer is we cannot sit like this or we cannot dependent on Govt. what it's doing in terms of Public Awareness camps, Free Treatments & Other support given by them. We all need to support each other and need to adjoin our hands with Govt. & Rehabilitation Centres to make this country completely drug free.